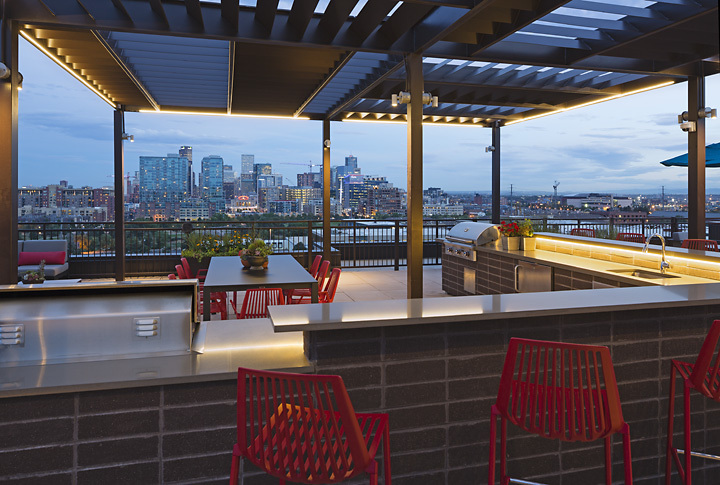 Live at Studio LoHi and fall in love with Denvers most happening neighborhood featuring studio, studio + den, 1 bedroom, 1 bedroom + den and 2 bedroom floor plans. the open top walls in the bedrooms are weird and annoying. The wooden floors and long hallways mean very loud footsteps above you. Otherwise great place. I have a somewhat bad taste in my mouth after my car was broken into and there are no cameras. IÃ¢ÂÂm also irritated that IÃ¢ÂÂm limited on what I can keep in the parking spot I rent. Otherwise, the location is great and the amenities are decent. I love that it smells good, is consistently clean, all the residents and staff are very friendly and accommodating. The only thing I would change is having AUM as a vendor. The trash and water and ridiculously overpriced. Otherwise, I love living here. Thank you so much for the kind words. We take a lot of ownership in our community and are glad that you love living here. Please feel free to always reach out to us with any questions or concerns. Great place to live, friendly staff, and always clean! Thank you so much for your wonderful comments. We look forward to continue serving you! It ha great amenities and the staff is very friendly and responsive to questions and repairs. Only reason I'd hesitate to recommend is if I was talking to someone who likely couldn't afford the high rent.